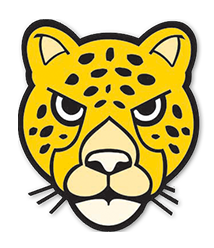 The Saint Joseph Academy volleyball team entered the 2017 season wanting to show everyone that last year’s trip to the Division 1 Final Four was not a fluke and that the Jaguars’ volleyball team is one of the top programs in the state of Ohio. 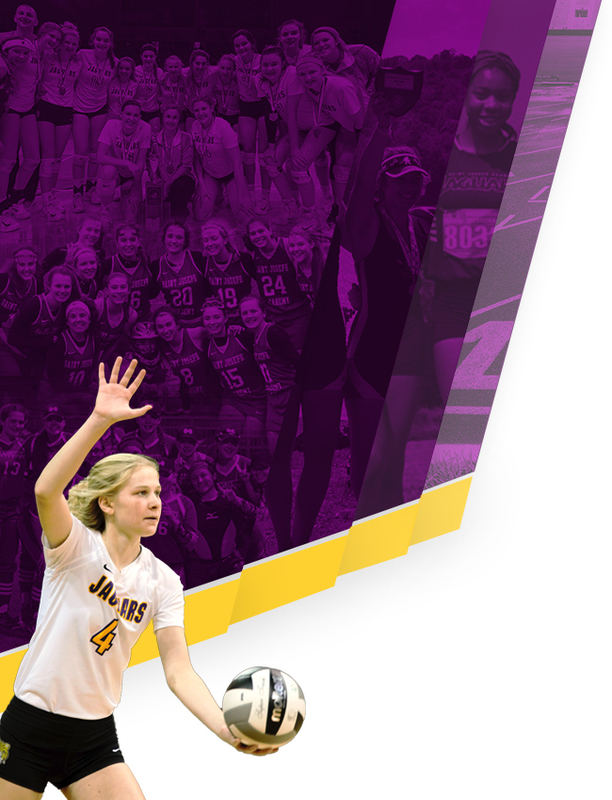 The Jaguars captured their second consecutive regional championship on Saturday afternoon at Norwalk High School as SJA advanced to the Division 1 Final Four with an epic 3-2 (25-21, 26-28, 23-25, 25-18,15-10) win over Toledo St. Ursula. The comeback win propels the Jaguars to the state semifinals, SJA’s second straight appearance in the Final Four, on Thursday afternoon at 12:00 p.m. inside the Nutter Center on the campus of Wright State University. The Jaguars will face Massillon Jackson which defeated Brecksville-Broadview Heights 3-1 this afternoon. The Jaguars were led by junior Molly Neitzel who had 13 kills and seven blocks while hitting .297. Junior Cecylia Guye had 12 kills, many of the emphatic variety and a team-high 14 blocks. Senior Colleen Neitzel added 11 kills for the Jaguars while Sadie Joyce had 26 assists and Logan Whitaker had 18. Just as they did in their regional semifinal win over Wadsworth, the Jaguars used their height at the net to control the crucial points against the Arrows. Saint Ursula, who has won nine state titles in volleyball, couldn’t find their way around the blocks of Colleen Neitzel, Guye, Beth Brady, Liz Kilbane, Molly Neitzel and others. 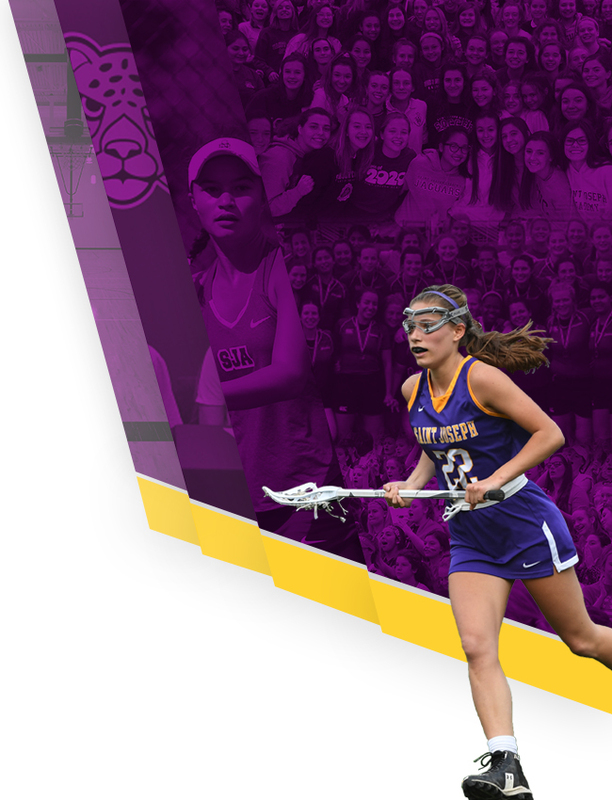 On the occasions they did, sophomores Lauren Gardner, Izzy Micheli and Elodie Joyce, along with senior Nora Clink were there to keep points alive. The setting duo of Whitaker and Sadie Joyce controlled the offense as the Jaguars put together a great all-around performance. The Jaguars won the opening set 25-21 but then fell behind in the match 2-1 after St. Ursula won sets two (28-26) and three (25-23) in dramatic fashion. SJA took a 5-4 lead in set four and never looked back en route to a 25-18 win to set up a decisive set five. After the fifth set was tied at 7, the Jaguars pulled ahead and had a small cushion en route to the win.